What successes have you had with negotiations? What strategies have worked best for you? I always hated negotiations. Vividly I remember graduating from college and getting my first ‘big-boy’ job offer. I hoped the salary was going to be higher, I mentioned it to my dad. He said, “You should tell them you want $3,000 more.” I was afraid they’d say no. I was afraid they would decide not to hire me. I accepted the job. Fear took away my leverage. The idea of negotiating intimidated me. It still does sometimes. I negotiate contracts and purchase agreements for a living. They all start with a knot in the pit of my stomach. I worry about being too strong or too weak. It could destroy the deal before it’s even been dealt. To calm the nerves, I read and study negotiation tactics constantly. I read articles written by FBI Hostage Negotiators, blogs from top Real Estate Agents and listen to podcasts by master Sales Professionals. I even subscribe to the mailing list of a Hedge Fund Manager (James Altucher 10 Things Not to Do in Negotiations). Using these lessons, I’ve developed a beginner’s guide to negotiations. Negotiations occur daily. When your boss gives you a project or wife asks what you want for dinner, it’s a negotiation. When your kid asks to feed Play-Doh to her baby sister, well, at least she asked first. We don’t always realize these conversations are negotiations. In my studies, I’ve found a few tricks to create fruitful negotiations. This is the discovery phase of the negotiation. Understand what your counterpart wants to accomplish. Listen to learn, not respond. 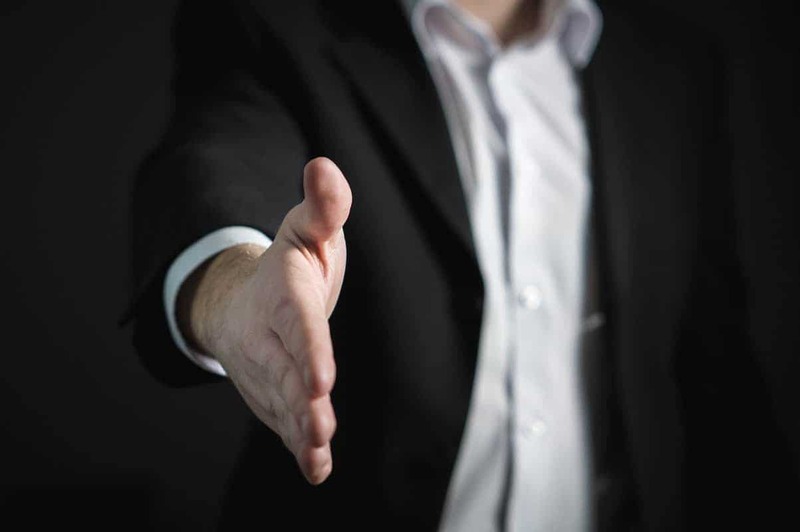 Absorb as much information about the deal and the person as possible. The discovery phase of negotiation can last anywhere from seconds to days. If you’re negotiating a nuclear trade deal with a foreign dictator, it will take days. If you’re negotiating a deal with your spouse on who has to change the poopy diaper, it will probably just take 1 sharp glance. I called my cable company to negotiate a better price a few weeks back. The customer service representative told me I was already getting the best price possible. I asked, “You’re ok with losing me as a customer?” He sensed my sarcasm. He said “No.” He transferred me to the Customer Retention department. I got them to knock off about $17/month. An 11% discount! It’s $200 per year in savings. Not amazing, but not bad. Related: How To Reduce Your Monthly Bills and Save Hundreds! I had to negotiate a new deal with my company’s pallet supplier. The salesman is a really happy, friendly guy. He reminded me of a used car salesman. He was using the famous “let me check with the boss” line. I adapted my style towards his, smiled while he talked and nodded my head as he did. I’d use the same jargon he used. When it came down to the deal, I made his argument for him: “Rick, I know you’re already giving me a great price on pallets. Your service is next to none. And, you’re not sure how much room you have to give.” He responded “That’s Right, Jeff” and I knew I’d made progress. He knew he didn’t need to sell me. I took away all of his leverage by adapting to his style. I made his argument for him. The total deal ended up saving the company about $250K annually. I didn’t get a better price on the pallets. However, I was able to get was free delivery on purchases of 550 pallets or more. During the negotiation, you’ll run into moments of silence. Silence is good. If you’re dealing with a salesperson, they’ll want to talk and fill the dead air. Why do you think used car salesmen leave you alone for so long while they ‘check with the boss’? It’s to force you to deal with the silence without giving themselves an opportunity to break it by putting their foot in their mouth. The Art of Negotiation is perfected in the terms and conditions. These are the pieces of the deal beyond price. It costs a lot to focus on price alone. The ‘Terms & Conditions’ can make a great deal. Remember the pallet example? The deal wasn’t made in the purchase price but in the delivery. Experts preach on having a longer list of demands. This is basically the same advice. All aspects of the deal are negotiable. Each term or condition is a mini negotiation within the deal. You’ll win some and you’ll lose some. It’s inevitable. These are the building blocks to a great deal. Some give and some take creates a win-win deal. For example, when receiving a job offer, the salary isn’t the entire deal. You can negotiate vacation time, working from home allowance, performance metrics and timeline for promotions. Same goes for your cable bill. You can negotiate premium channel upgrades, and discounts on your leased hardware. Everything is negotiable. In negotiations, humility is best. You are not the best negotiator. The person across from you has knowledge and information you don’t. Learn as much as you can. Learn as often as you can. Read, study, and practice negotiating. I still hate negotiations. They bring on an uncomfortable level of anxiety. The rush of closing a deal is well worth the headache and struggle. Remember, you’re negotiating with a person. People want to be heard and understood. If you can deliver on those wants then you’ll hold all the power you need to make a mutually beneficial deal. 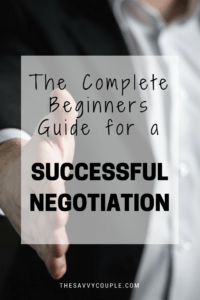 Hopefully, you found this Beginner’s Guide to Negotiations beneficial. This article was written by Jeff over at StopBeingDumb.net. Like he said in his article he does negotiations for a living, if you have any questions hit him up on twitter @JeffLeonard12. I read this article on trump’s negotiation tactics. Basically, he always starts out with a RIDICULOUS ask. That ask will shock and probably anger the other side. Then he meets at a more reasonable halfway point, which the other party will be more likely to agree to. I’ve never tried this, but I can see it working in some circumstances. Definitely going to try this one day. Wow that is very eye opening. I think your onto something. Kind of like low balling someone while your purchasing a care. Shock the other party then meet in the middle where you wanted to in the first place. We don’t get into politics very much but we are going to have to go back and watch some of Trumps campaign again. You can learn ALOT from people who are successful at negotiating! Hahaha, indeed a sharp glance usually ends the poop/diaper debate. I always lose. Great introduction to negotiation.